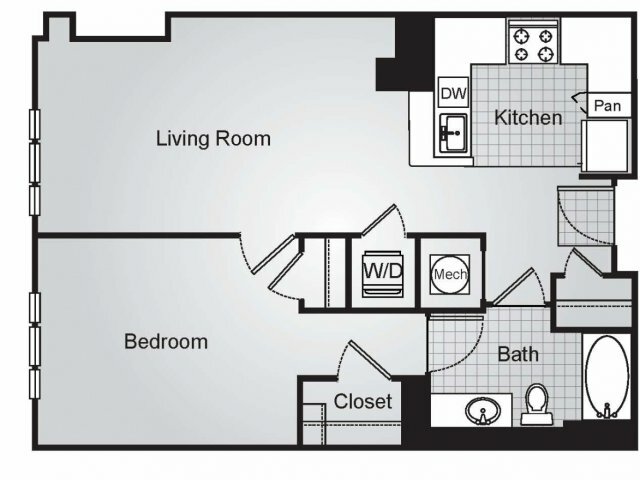 Choose from our luxury studio, one, and two bedroom apartment homes ranging from 542 to 1300 square feet and designed specifically with you in mind. Our upscale homes feature premium luxury finishes like select hardwood flooring, built in bookshelves, and beatiful, spacious bathrooms that are sure to make you feel at home. Step into gourmet, chef-inspired kitchens complete with premium stainless steel appliances including a refrigerator, ice maker, dishwasher, and mircrowave, contemporary cabinetry, and a kitchen island option in select homes. Find a place for everything with an abundance of extra storage space. Save yourself inconvenient trips to the laundromat with in-home full-sized washers and dryers. Take in beautiful views from your very own private patio or balcony, perfect for relaxing after a long day. The comfort and convenience of our urban luxury apartments are great for every lifestyle. Find everyting you are looking for and more at Siena Park. Visit us today to take a private tour of our available homes.